President Trump still hopes to force legislators back to the table to find a way to get rid of the Affordable Care Act, by any means possible. Alexander says the committee will hear from insurance commissioners, consumers, governors, insurance companies and health care experts. If Congress doesn't act, he says, some people could find that they have no exchange options, and millions of people would find insurance unaffordable. Alexander also urged President Trump to continue what's known as "cost-sharing reduction" payments to insurance companies through September. These payments help to lower copays and deductibles for low-income Americans who earn 100 to 250 percent of the federal poverty level. The Trump administration has been doling out the payments on a month-to-month basis and threatening to end them altogether, which is spooking insurers into raising rates. Alexander stressed that stabilizing the marketplace for 2018 is only step one, and that after that, lawmakers will continue to work towards a more robust individual insurance market for the long term. 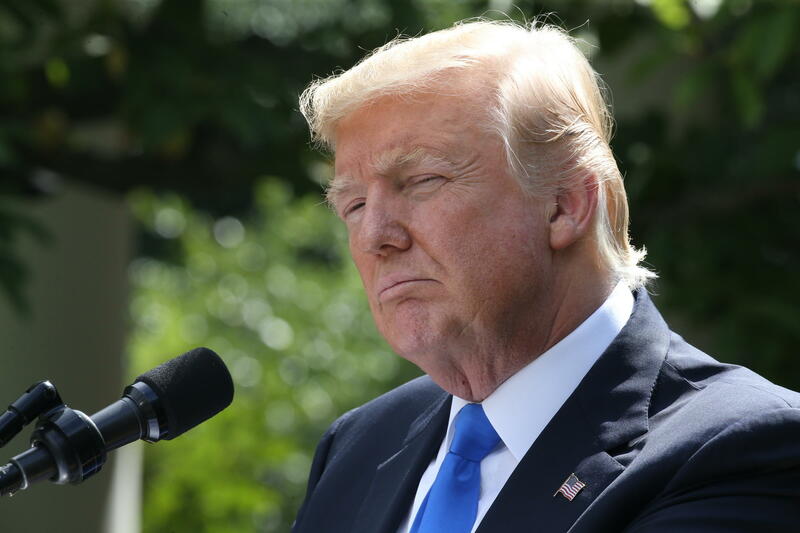 The announcement came after President Trump took to Twitter to threaten insurance companies that he may withhold payments to insurers in an effort to undermine the Affordable Care Act. It's not the first time the president has threatened to cut off these payments, which he refers to as "BAILOUTS." But these payments aren't designed to compensate insurers for business failures. Rather, they reimburse insurance companies for discounts the law requires them to give to low-income people who buy insurance through the Affordable Care Act exchanges. The federal money offsets the money insurers lose by lowering the deductibles and co-payments they require of these policyholders. Trump, who is angry that the Congress failed to pass a law to repeal and replace the Affordable Care Act, or Obamacare, has been wielding his threat to withhold these CSRs — which could cause chaos in the insurance markets – in hopes of forcing lawmakers back to the table to try again to get rid of the health care law. The next cost-sharing payments are due to be paid in a few weeks and the president has said he'll announce this week whether he'll pay the money or keep it in the Treasury. "In the absence of the CSR, the rate increases could be astonishing," says Dr. Marc Harrison, CEO of Intermountain Healthcare, which operates nonprofit hospitals and clinics and insures more than 800,000 people across Utah. "We'll see [the number of] people who are uninsured, or functionally uninsured, go way, way up," he adds. Harrison says he and his company filed two sets of proposed rates for policies sold on the insurance exchange next year. If the president cuts off the cost-sharing payments, he says, the rates will be much higher. The Congressional Budget Office estimates the payments, if they're all made, will total $7 billion this year. Margaret Murray is CEO of the Association for Community Affiliated Plans, which represents these "safety net health plans" aimed at people with lower incomes. She says she has been in touch with the Department of Health and Human Services to urge them to fund the payments. "Should the payments cease, insurers will be required to fund cost-sharing reductions on their own," Murray says. If that happens, "they will either raise their rates – our plans indicate that it could be by up to 23 percent – to compensate for these losses, or they will withdraw from the markets altogether." If Trump does decide to stop making the payments, it may end up costing the U.S. Treasury more, while insurance companies who remain in the markets could do just fine. That's because insurance companies will charge more in premiums to make up for the lost payments. And that will lead the Treasury to spend more on subsidies to policyholders who qualify, according to an analysis by the consulting firm Oliver Wyman. If those subsidies go up enough, more people could be lured into the exchange markets. The Obamacare exchanges require insurance policies to conform to one of four "metal" levels -- bronze, silver, gold or platinum — which coincide with how much an individual is expected to pay in premiums, deductibles and other out-of-pocket expenses. A bronze plan covers about 60 percent of a customer's health care costs, with relatively low monthly premiums, while a platinum plan will cost more each month but pay 90 percent of total health costs. The law provides income-based tax credits to people to buy insurance, and those credits are calculated based on the price of silver plans. Last year about 85 percent of people who bought Obamacare insurance got a credit, according to the Center for Medicare and Medicaid Services. People with the lowest incomes also get those discounted deductibles and co-payments if they buy a silver plan; and then the government reimburses insurers through CSR payments. If Trump decides not to make those payments, insurance companies are likely to raise rates about 19 percent, according to an analysis by the Kaiser Family Foundation. That means subsidies will have to rise for many people to meet those higher premiums. Some people may take that bigger subsidy to buy a cheaper policy — and many could even get insurance for free, according to Oliver Wyman, because premiums on bronze plans probably would not rise as much as those on silver plans. The higher subsidies could cost the government as much as $2.3 billion in 2018, according to the Kaiser Family Foundation's Larry Levitt. Levitt notes that Congress could end the ambiguity over the payments by appropriating the money for them. Sen. Orrin Hatch, R-Utah, said in an interview with Reuters that he thinks Congress will do just that. "I'm for helping the poor; always have been," Hatch said. "And I don't think they should be bereft of health care." The reason CSRs are in limbo at all is because House Republican who did not want Obamacare to succeed sued the administration, claiming the payments to insurers were illegal because they had not appropriated money for them. A federal judge agreed, but the Obama administration appealed. When Trump took the White House he continued the appeal, to allow lawmakers time to pass a bill to repeal Obamacare and make the payments disappear altogether. Now that that effort has failed, the lawsuit and the cost-sharing money are once again in play. Additional reporting by Gisele Grayson.